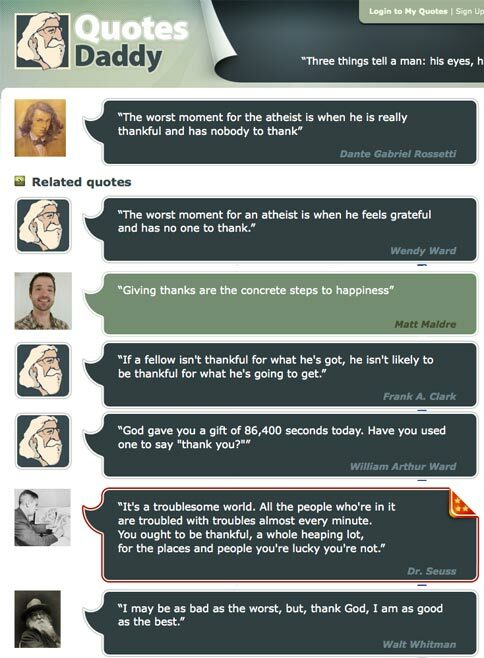 It’s really cool when one of your quotes appears alongside quotes from people such as Dr. Seuss and Walt Whitman. Quotesdaddy.com so far has published 22 of my quotations. that is really, really, really cool. I’m up to 41 quotes on quotesdaddy.com now. Wow…I’m dating someone who ranks right up there with some literary giants! Match made in heaven.